Drumlanrig is home to a partridge shoot which is far removed from the traditional form of the sport where coveys and hedgerows abound. It’s hard to know exactly what the grandees of shooting in the late Victorian and Edwardian era would make of the Whirlpool drive at Drumlanrig, or the Bothy for that matter. 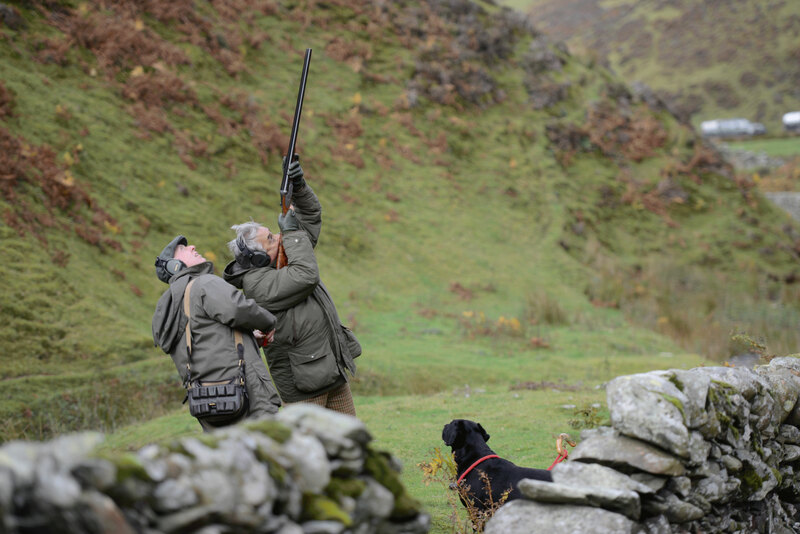 At the Whirlwind the guns are warned beforehand by unflappable Drumlanrig shoot host John Duncan and irrepressible headkeeper Rab Clark that as the drive starts the birds will come from one direction and, as it progresses, they could appear from any angle. In fact, they might come from any angle to start with; it’s just most likely they will come from in front. But by the time the drive has finished you will have long since forgotten what ‘in front’ was at the start. If this all sounds a bit confusing then it’s a fair reflection of the drive. This is like pigeon shooting, with birds coming from all conceivable angles and, as Sod’s Law dictates, almost always from the one direction you are not looking. But it’s confusing in a way which delivers pleasure like few other drives in the world of game shooting. The birds keep coming, and for perhaps half a minute every now and again you will have a steady stream from one direction and then nothing for a minute before they start again from a completely different approach. Headkeeper Rab Clark has been at Drumlanrig since he was a boy. There is nothing he doesn’t know about the place and he goes about his business with a smile. And, of course, these are all redleg partridges who have shown a surprising capability for dealing with the harsh conditions on this moorland fringe. Like at Bleasdale in Lancashire to name but one other they realised some years ago at Drumlanrig that these hardy little redlegs can not only survive in these hostile and ever-changing conditions, but it actually suits them too. It makes them wilder, tougher, stronger and faster. Which is not really what you want to hear when you are stood in one of the valley bottoms looking way up to the heights above where some of the fittest beaters in the UK work their Caledonian behinds off to ensure the guns get the chance to pull the trigger a lot. But it doesn’t half produce some extraordinary shooting. Back to those Victorian grandees; The Prince of Wales, Lord Ripon, Lord Walsingham and the famous Duleep Singh brothers from Elveden. These men were used to shooting partridges in the classical style; wild birds driven in coveys over hedgerows in the gentle rolling farmland of East Anglia. The arrival of each covey was heralded by a keeper’s whistle and the skill was to take as many birds out of each covey as possible. Bear in mind all the guns would at least be double gunning, and it’s no surprise to learn these coveys would often be severely depleted after each flypast. This classical style of partridge shooting however bears about as much resemblance to the Whirlpool at Drumlanrig as ballroom dancing does to an illegal rave. In this wild landscape the beaters sweep across vast swathes of moorland fringe and gradually send swarms of birds out into the wind to decide for themselves which way to head. And the guns down in the series of valleys below strain their eyes to pick out the birds high up and almost out of range at first sight. But then the birds pick their lines and, if the wind is even vaguely blowing, they turn on it and accelerate, presenting a series of crossing shots at heights which would test the very best, never mind the merely average game shots. 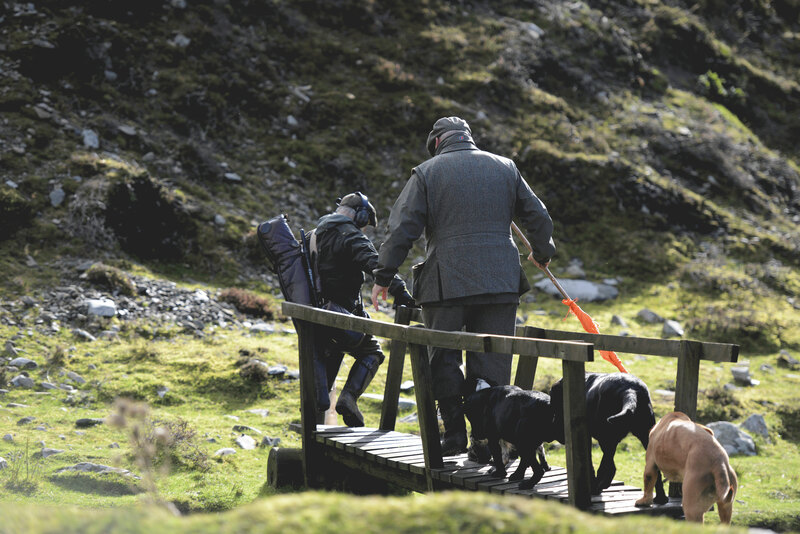 Pheasant shooting: A day's driven pheasant shooting in near Arctic conditions. If the wind is doing a bit more than vaguely blowing, as it was on the stormy day of this visit, then you might find yourself pulling the trigger far more often than you see one of these magnificently tough redlegs ball up in the sky and hurtle into the gorse and heather around you. But you will seriously love the experience. As I suspect would Lord Ripon and his shooting brethren. They may be a little confused initially, but no doubt they would soon get the hang of it. Although even these mighty game shooting giants of yesteryear would not be able to achieve their usual phenomenal cartridge to kill ratios. Guns come from all over the world these days to pit themselves against these famously testing birds. 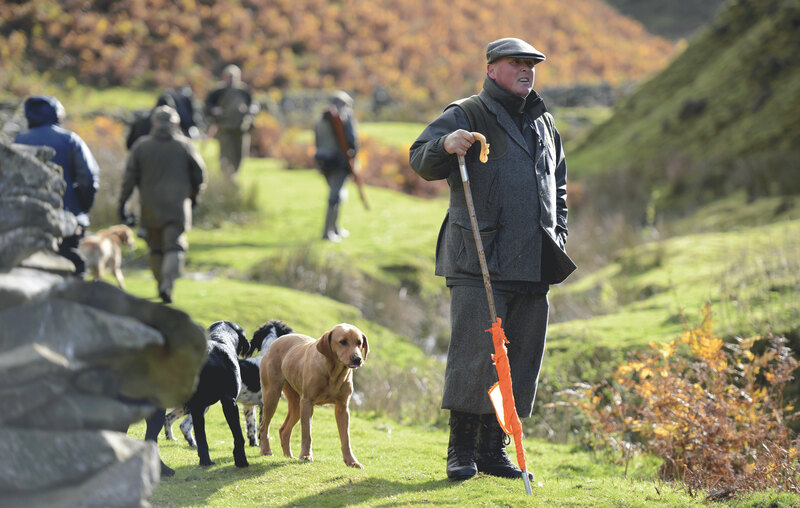 John Duncan from Roxtons hosts all the days, as he has done since Roxtons took control four seasons ago, so you are guaranteed the highest level of hospitality from a man who has more experience standing back and watching shoot days unfold than most in the UK today. John knows exactly what he is doing, providing encouragement if he thinks it’s needed or the opposite if he is sure the recipient can take it. If you have a good drive on one of these stupendous days at Drumlanrig you may well briefly feel like Lord Ripon or even Sir Joseph Nickerson, but rest assured the next drive is waiting to bring you crashing back down to earth again. But come what may John and his team will ensure all the guns get plenty of shooting and if things are more than a little breezy, as they were on this day, headkeeper Rab Clark and his team of Keith Cottle, Adam Clark and Nick Smith will just work that little bit harder to deliver. This is an underrated and often overlooked part of Scotland and it’s only an hour’s drive from Gretna Green. With Drumlanrig Castle providing the grandest of focal points for the day it’s hard to see why any game shooter wouldn’t love a day here in beautiful Dumfriesshire. And if you need somewhere to stay the night before or after then the Buccleuch & Queensberry Arms sits ready and waiting just five minutes drive away in pretty little Thornhill. In this recently refurbished hotel shooters are welcomed with open arms as one might expect from a hostelry owned by the shooting-mad Sweerts de Landas family. Or if you are looking for something special accommodation can be arranged in the castle. On this day the mixed team of American and British guns enjoyed four long drives for a final bag of 301 partridges. They would normally stop for lunch but with the ever-worsening forecast for the afternoon the sensible decision was taken to shoot through and return indoors before things deteriorated even more. During Scudlaw, the first drive, regular guns Bill Anderson and Eric Taylor demonstrated to the Drumlanrig newcomers in the line that these seemingly unhittable curling dots in the sky were actually in range, and it wasn’t long before the rest of the team started to regularly kill them. Gate Slack was the second drive and the team really got into a rhythm here with guns enjoying some fabulous shooting along the banks of the picturesque burn. After a wonderfully atmospheric elevenses stop there was an air of trepidation as the convoy of 4x4s moved higher into the wilderness towards the Whirlpool. Here guns line out into a deep and narrow ravine, which is closed at one end by a steep bank and hemmed in by equally steep banks on either side. It looks and feels like a partridge ambush and that’s what materialises over the following 30 minutes. Flamboyant gun Eric Taylor shows the rest of the team how it’s done. With swirling 35-40mph winds and intermittent sunshine making an always challenging drive even more so the team’s new found confidence on Drumlanrig’s birds was tested but not found wanting. In fact as the drive continued it became apparent that even in the wildest conditions the birds here are hittable – you just have to find out how. Some birds were fighting into the wind meaning they needed hardly any lead at all while others were racing on the gale and needed the proverbial five bar gate. The 90,000-acre Drumlanrig estate in Dumfriesshire is owned by the Duke of Buccleuch, who is the largest private landowner in the United Kingdom. The family also own Bowhill near Selkirk and Boughton House in Northamptonshire. The focal point of the day is Drumlanrig Castle where guns meet in the morning for coffee and return to for lunch and tea. They start shooting driven partridges from the September 1 and there are now three beats with 24 drives ranging from difficult to the extreme. All beats are situated between the moorland and wooded areas on the estate with breathtaking scenery and easy access from hill tracks and they charge £37.50 plus VAT per bird. There are three principal pheasant beats at Drumlanrig covering 15,000 acres. Across these beats are 25 drives varying from high pheasants on bracken-clad hills, to perfectly positioned game covers and mixed mature woodlands, all situated within spectacular scenery. Up to a week’s sport can be arranged without covering the same ground twice.